Texas prisons are dangerous places for a host of reasons. Despite being in areas where summer temperatures soar, many of them lack air conditioning. The cost of installing air conditioning in uncooled prisons was raised in the Texas legislature last month. The Texas Department of Criminal Justice put a $1 billion price tag on cooling its prisons. Some lawmakers are skeptical. As many as three-quarters of prisons in the Lone Star State lack air conditioning in their housing areas. The absence of cooling is linked to deaths and lawsuits. The Department of Criminal Justice has published new protocols to combat the overheating problem. But its action has stopped far short of the levels of investment needed to bring all of its prisons up to date. The Texas Tribune reported officials put a $1 billion price tag on the proposed fitting of air conditioning in all of its uncooled prisons. Some lawmakers accused the department of overestimating the costs. The estimate was given to state lawmakers ahead of a hearing on a bill that would require all prisons in the state to be kept at temperatures between 65 and 85 degrees. This is the current requirement for local and county jails. The Tribune reported about 75 of the state’s 104 jails and prisons lack air conditioning in most inmate housing areas. While all units are equipped with heating for the winter, summer temperatures routinely exceed 100 degrees. State Rep. Terry Canales, D-Edinburg, and at least one member of the House Corrections Committee questioned those numbers. They pointed out the Texas Department of Criminal Justice slashed its estimate over cooling costs at one prison by more than 80 percent during a lawsuit settled in 2018. Canales branded the figure as exorbitant and disingenuous. He said it was intended to scare lawmakers away from the issue of overheated prisons. The Tribune noted TDCJ produced an expert for a 2017 court hearing over high temperatures in the Wallace Pack Unit near College Station. The expert claimed it would cost more than $20 million to install air conditioning in the prison. The price fell to $11 million after the department carried out its own research. By 2018, when the state settled the lawsuit, the figure had fallen to about $4 million. Lawsuits were brought after the heatwave of 2011. At least 10 inmates died of heat stroke in Texas prisons in just two months. Last year two prisoner and two guards reported heat-related illnesses. The family of one of the dead inmates, 58-year-old Larry Gene McCollum, filed a wrongful death lawsuit in federal court. A lawsuit brought over the Pack Unit near Navasota, which contains many elderly and disabled inmates, claimed 22 inmates died in Texas prisons from the heat. Inmates argue being kept in sweltering prison conditions is “cruel and unusual” punishment. In 2017, U.S. District Judge Keith Ellison ruled prison system leaders must stand trial in the lawsuit brought by McCollum’s family. “Larry McCollum’s tragic death was not simply bad luck, but an entirely preventable consequence of inadequate policies,” the judge wrote. 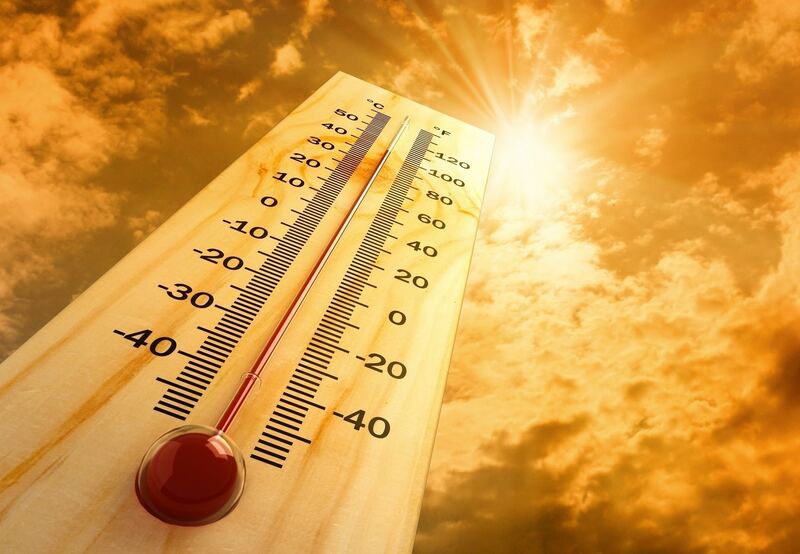 Last year, the Texas Department of Criminal Justice outlined new efforts to combat the hot conditions, including amended heat protocols and a revised incident command system to ensure policies are being followed. Critics say it doesn’t go far enough to protect inmates from the unbearable summer heat in Texas prisons. Incarceration is very much a last resort in Texas given its overheated prisons. It’s the job of our Texas defense lawyers to keep innocent defendants out of prison. Please contact us today if you have been charged with a serious offense.